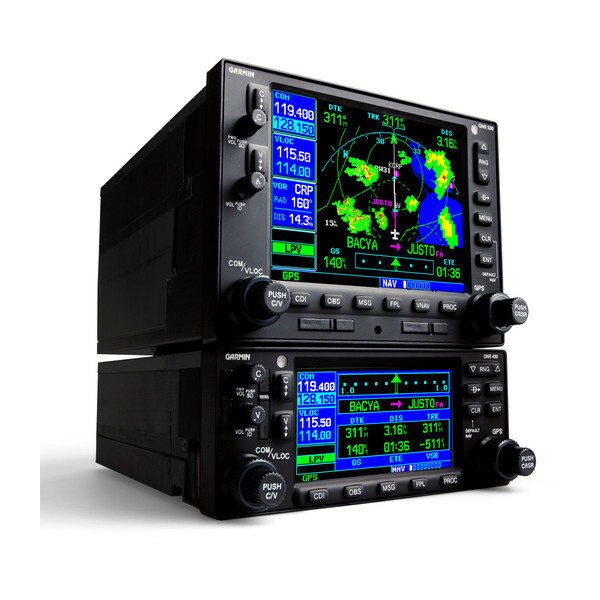 Wide Area Augmentation System (WAAS) upgrades bring your GNS 430/530 series devices up to FAA TSO-C146a standards for IFR GPS capability. WAAS provides additional accuracy, availability and integrity of satellite signals so you can rely on GPS for virtually all phases of flight anywhere within the WAAS coverage area. Upgrading your GNS series navigator to WAAS gives you lateral and vertical guidance at most airports as well as lower IFR landing minimums. You’ll also be able to fly GPS-guided LPV glidepath instrument approaches to minimums as low as 200’. The upgrade also gives you a faster microprocessor, upgraded software, improved terrain graphics, advanced terrain database and enhanced serviceability. Plus, with a Garmin ADS-B solution such as the GDL® 88 datalink or GTX™ 345 transponder, your upgraded GNS navigator will be able to access and display subscription-free ADS-B weather and traffic (where available) — while it serves as the required WAAS position source for making your aircraft ADS-B “Out” compliant. The new software will further enable full GPS steering for procedure turns, holding patterns and DME arcs (with compatible roll-steering autopilot). With WAAS, thousands of previously access-limited general aviation airports can offer full LPV glidepath vertical approaches similar to a Category 1 ILS (where suitable airport conditions exist) — without adding the costly onsite infrastructure required to install a ground-based precision approach system. In a very short time span, affordable WAAS approaches have significantly changed the landscape of IFR navigation. In fact, they outnumber ILS approaches in the U.S., with more than 3,700 published LPVs now in service. Visit an authorized Garmin dealer to schedule your upgrade. Your authorized avionics shop will notify the factory and reserve a position on the schedule. Your existing system will be removed from the aircraft and returned to us (turnaround time at our factory is typically less than 1 week). Our technicians will replace/modify the GPS receiver and other internal circuitry, then return the system to your local shop with a new GPS antenna. Your existing antenna will be removed and replaced with the GA™ 35 WAAS/GPS antenna, and your upgraded system will be reinstalled in the panel and recertified in the aircraft. Typically, the existing wiring will still be compatible with the new WAAS upgrade. Modifications to the basic wiring should be minimal unless new provisions are needed for various autopilot, annunciator or EFIS interfaces.